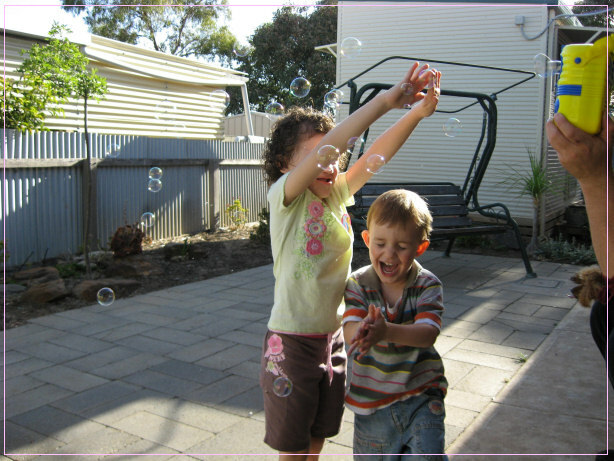 During the hot weather we would venture outside once the sun had passed over the house & this day we were outside playing with bubbles. I got some fabulous shots! This would have to be my very favourite photo at the moment. I just love the look on Conner’s face. And what an amazing capture this one is!! It’s a little blurry…but look how high Max got off the ground! Amazing. He loves to chase bubbles as much as his ball. It certainly wore him out LOL! Well that’s it for another day.